Living in Delhi, I would specifically talk about the capital and we all know that Delhi weddings are known for its grandeur and luxurious status. Whether you belong to Rajouri Garden or posh South Delhi, the charm of every wedding of the city is magnanimous. In order to discover the right makeup artist depending on your personal taste and requirements, make sure that you keep the theme of the wedding in mind and other vital points too. What according to you is the biggest hassle comes in front of every bride-to-be while searching for the perfect bridal makeup studio??? Budget is what everyone’s forever concern is. But you don’t need to roam in market anymore or talk to various people for suggesting the pocket-friendly makeup artist as WedMeGood has got you covered from everywhere. 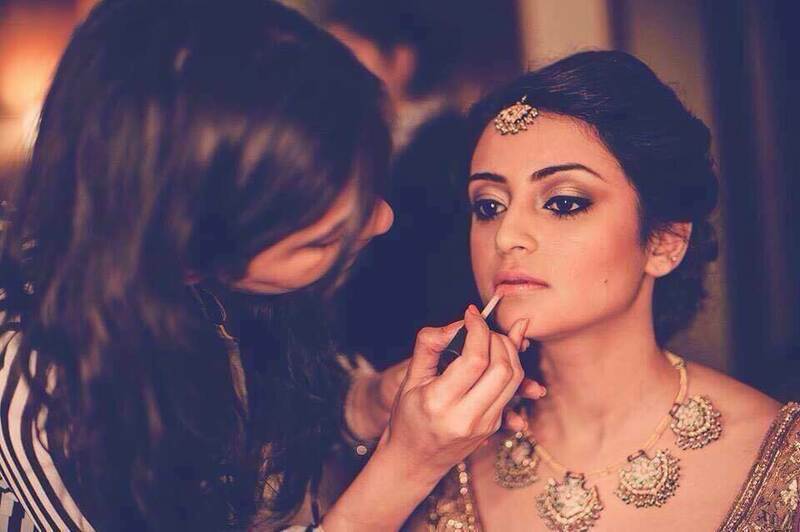 Featuring an assorted array of the best and finest bridal makeup artists in Delhi, the online platform made your wish come true. Covering all the important details like budget, types of makeup, products used, ratings, years of experience, genuine reviews, price per function and personal details of corresponding artists, the WedMeGood app made sure that every bride-to-be gets her dream look without worrying about anything in the world. Catch with the online portal to discover the finest and most popular bridal makeup artists available in the city and book an appointment for your D-day. Artists like Sakshi Sagar Studio, Makeup by Simran Kalra, Shweta Gaur Makeup Artist, Shruti Sharma Bridal Makeup, Bride in Vogue and many more are featured her with all the important details and much-needed descriptions. From 15K to 50K, you will find an expert here in extreme versatility to suit the makeup needs and budget of every individual. Not only this, but all these makeup experts are working in the same profession from several years and there are many who have worked with leading Bollywood celebrities. So, if you crave to be the most stunning bride of the season and you just can’t compromise with your wedding makeup, WedMeGood is the ideal destination to get over with all your makeup related doubts and budget concerns. Whether you want to go for heavy makeup or light nature-inspired appeal, there are geniuses who can do wonders to your bridal avatar and overall style statement. Hurry up!! !